You may have seen us out at the local farmers market with Unripe produce. You may say to yourself "Woah! Murray Family Farms is one of the only farms I know that picks ripe fruit! Is it Opposite day?" Well, humble farm-goer, it isn't opposite day today. On opposite day, we sell frozen TV dinners. The green produce you're seeing is one of the most unknown but deliciously curious ways to eat fruit! If you're a fan of all things pickled, the green strawberry is a wonder to behold. These little guys make a fantastic addition to savory and sweet dishes alike. Dietitian extraordinaire Carlene Thomas has a wonderful guide on how to pickle your own strawberries at home on her website! Did you know capers are the ultimate unripe treat? They're actually flower buds that are plucked before they open. Often added to salad, you can actually try a variety of "capers" from various plants! Heck yeah it's safe! while there are some fruits you can't eat unripe like Lychee and Lanternberries, trying out a fruit when it's green is an exceptionally unique experience. Bananas, Strawberries, Blueberries ( Greenberries?) and Plums all show off a different side when they are eaten before their sugar sets in! We're super super cereal! Feeling skeptical? Trying a salted green plum will make an instant convert of anyone! Infact, Lebanese cuisine considers Green produce not only a staple but the De Facto sign of spring! In Japan, they eat a treat called Umeboshi. The word "umeboshi" is often translated into English as "Japanese salt plums", "salt plums" or "pickled plums". While it's often called a plum, it's actually more closely related to the apricot. Umeboshi are a popular kind of tsukemono (pickle) and are extremely sour and salty. However, they also have sweet umeboshi which is pickled with honey too. I told you! 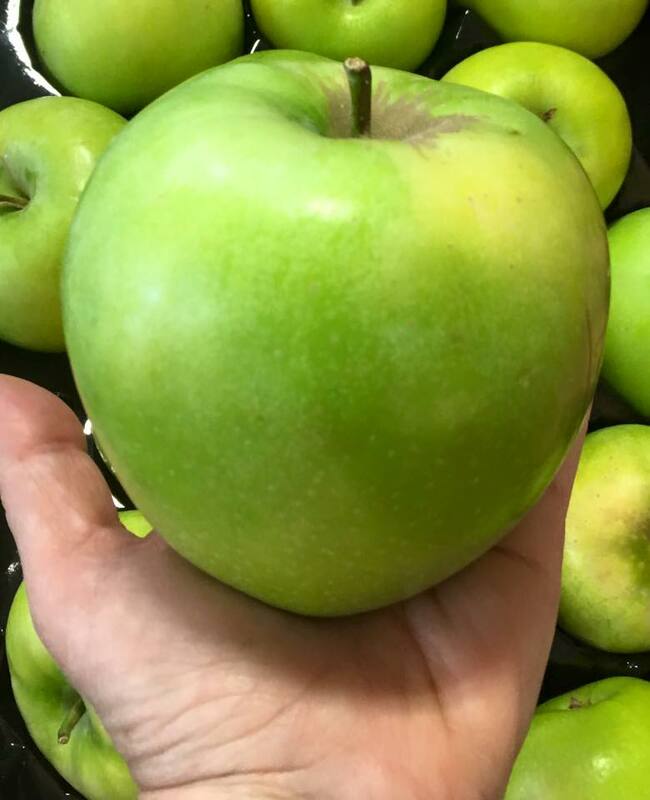 Granny Smith apples are stunted, they grow in size but develop very little sugar! You can experiment with other unripe apples to get a feel for new flavors! Bell peppers are a sweet pepper! It's true! Whenever you eat them green, for the most part it is just unripe. Unless it's a stunted variety like the Granny Smith! You might have eaten an Armenian Plum at our fruit stand! These are actually stunted Plums. Their rich juice and strong flavor can be matched by other varieties in their early stages!